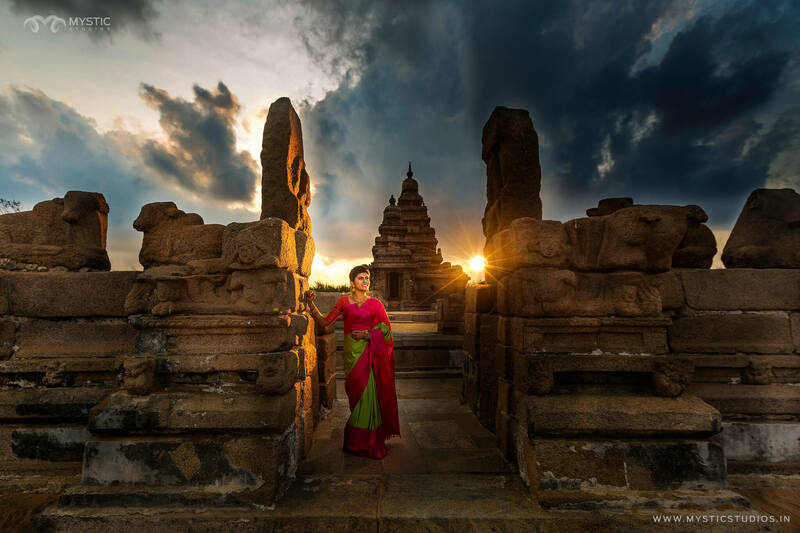 This temple from the Pallava era lies along the shores of the Bay of Bengal. 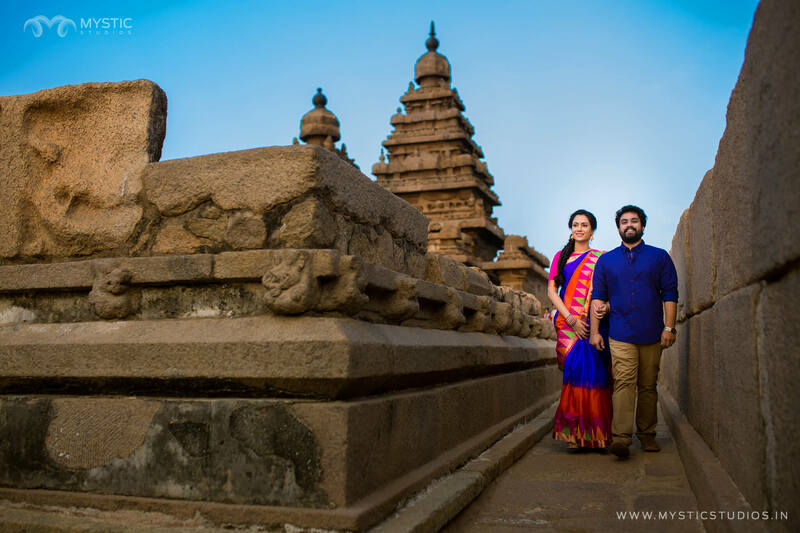 It is declared as the UNESCO World Heritage site. 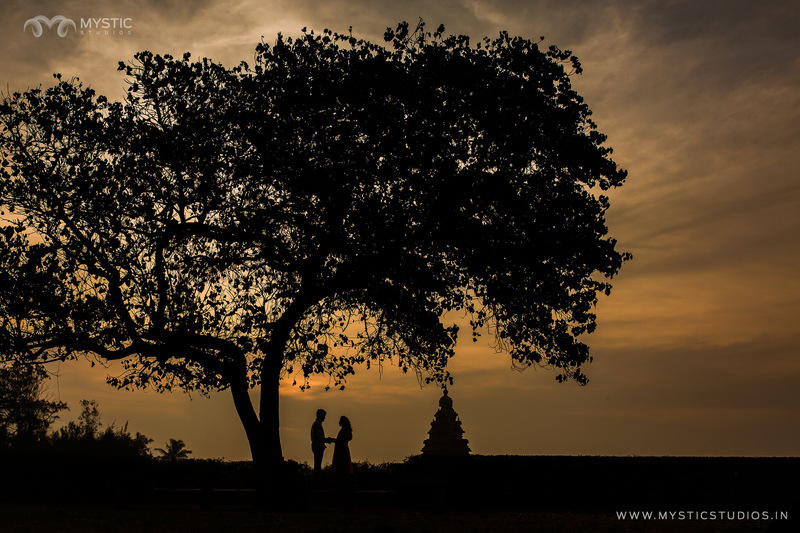 Each time we visit this place, it gives us a different perspective. 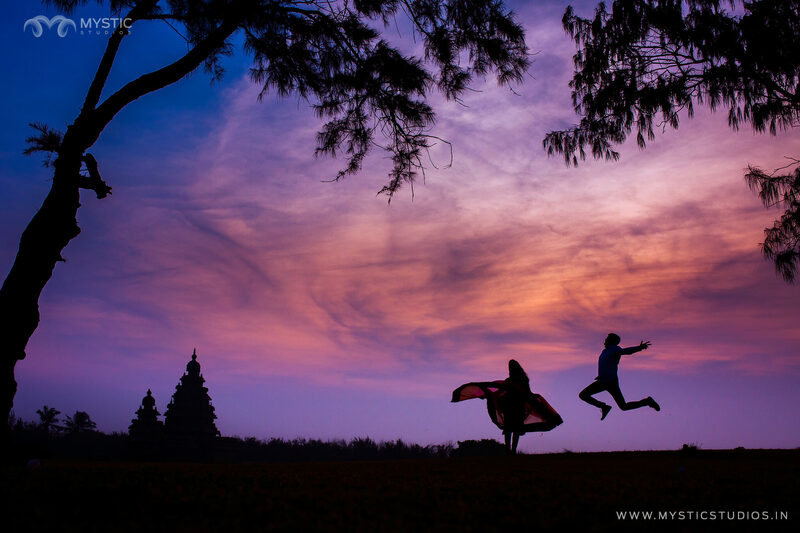 The weather at dawn and dusk always brings out colourful pictures. 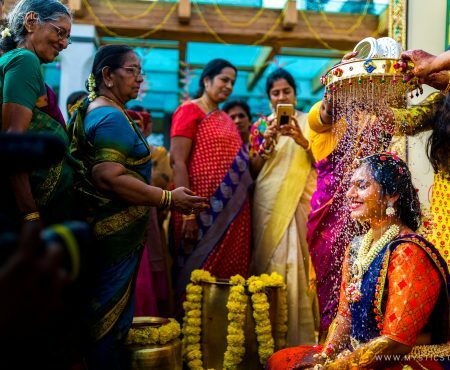 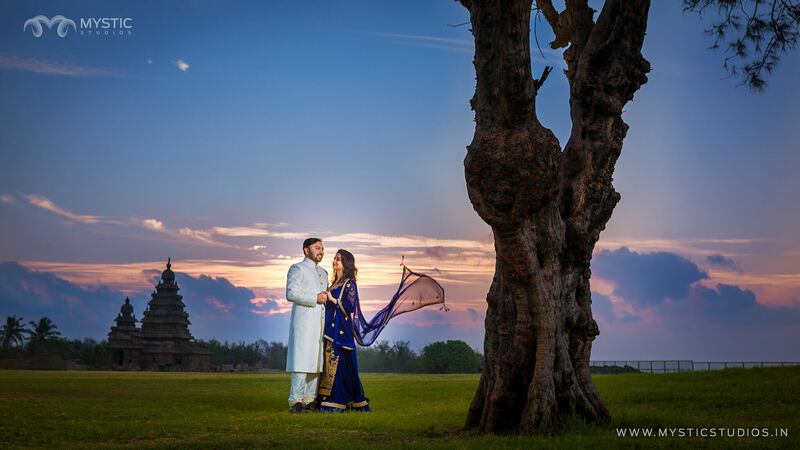 Those golden lights during sunrise, and varying colour tones during sunset, add a vivid touch to the pictures. 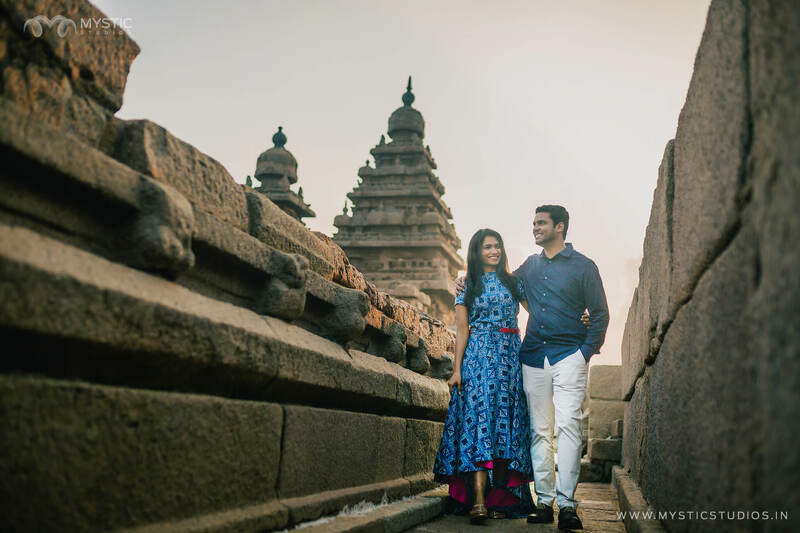 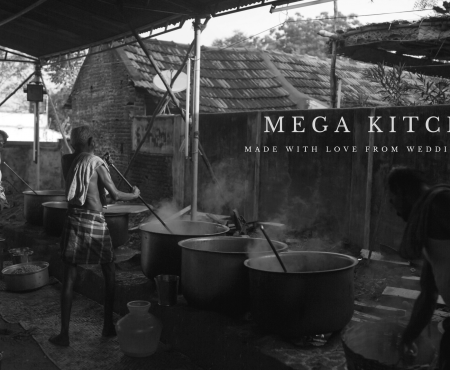 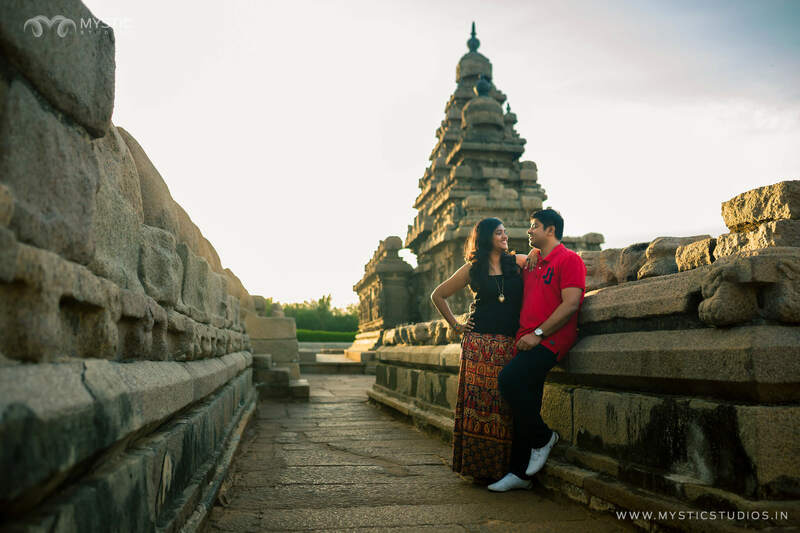 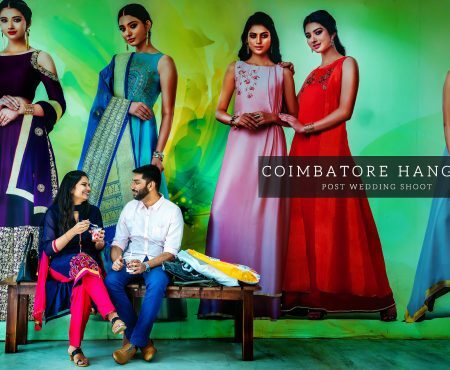 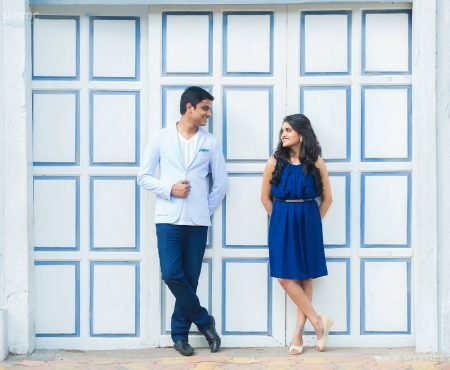 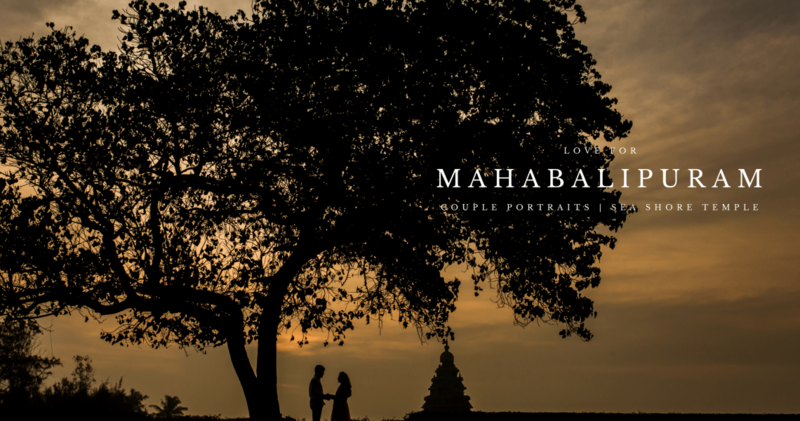 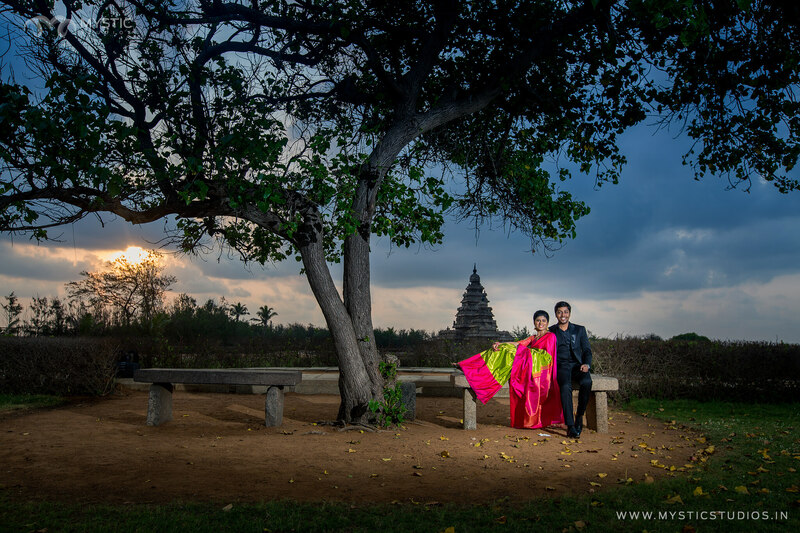 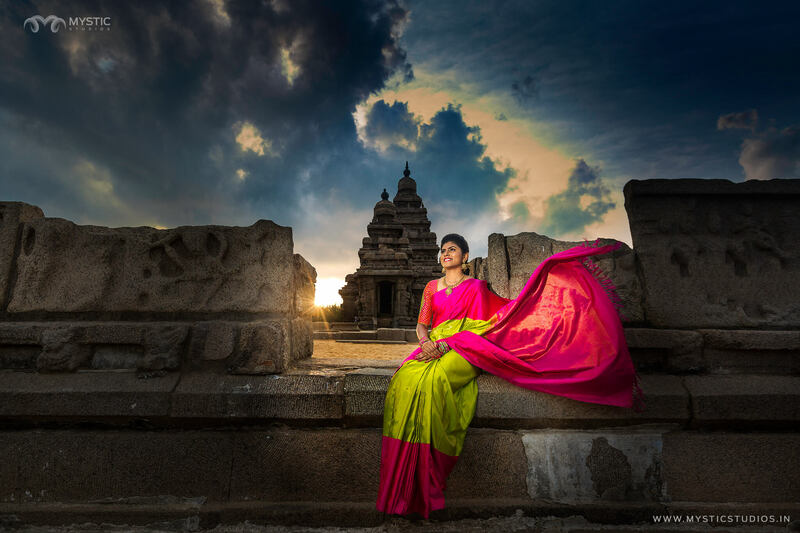 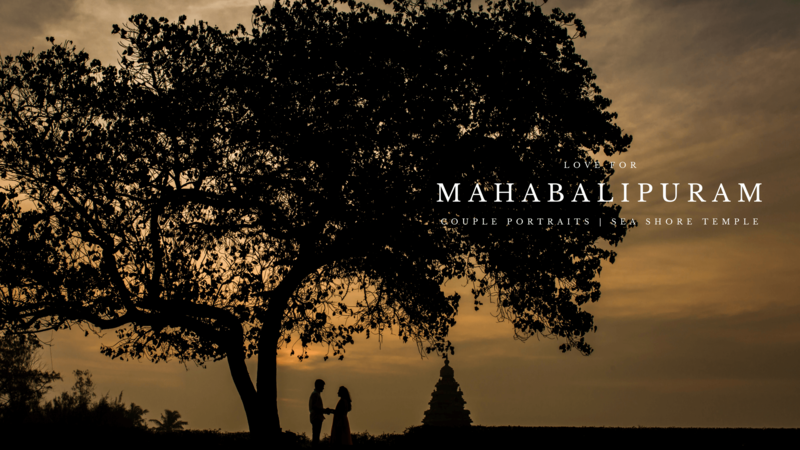 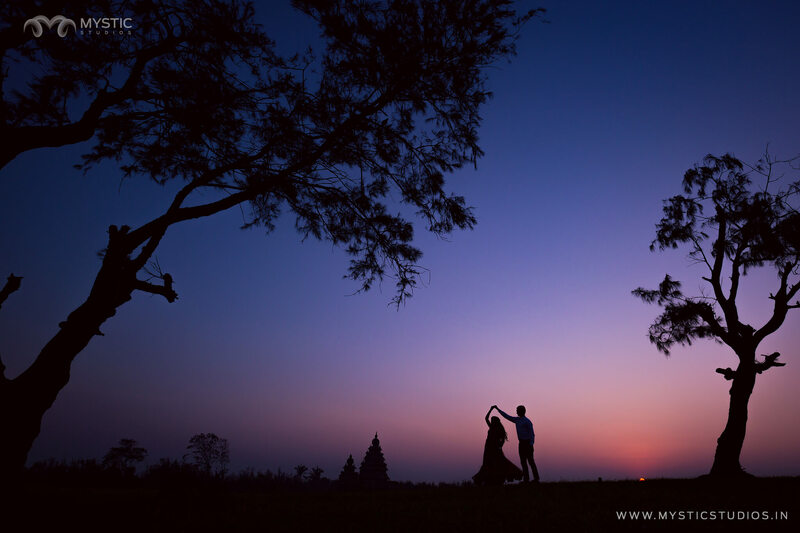 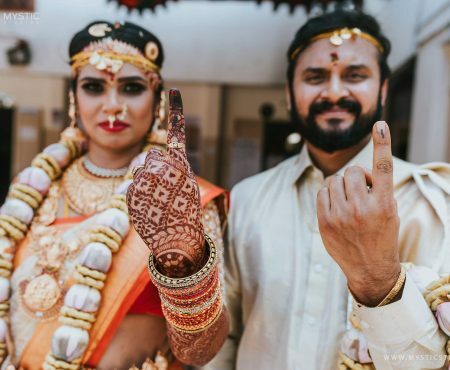 Compiling a few of our favourite couple portraits taken in the picturesque shore temple of Mahabalipuram.